Congratulations to our Client Soul Carrier for their feature on The Huffington Post! 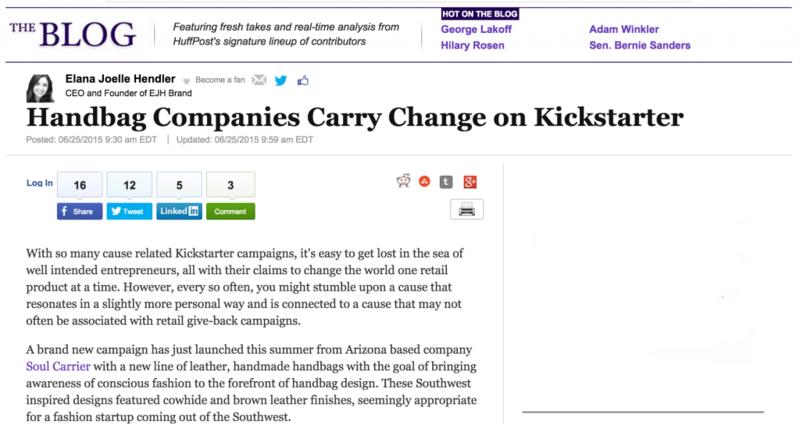 “A brand new campaign has just launched this summer from Arizona based company Soul Carrier with a new line of leather, handmade handbags with the goal of bringing awareness of conscious fashion to the forefront of handbag design. You can find Soul Carrier on Kickstarter!